First Joint At Home: Should Parents Allow Or Encourage It? Should Parents Allow Their Kids To Try Their First Joint At Home? This entry was posted in Substance Abuse and tagged Adolescents, Preventing Misuse, Trust on September 13, 2016 by Team Addiction Hope. The 1980s provided a clear message about drugs to all parents: Just say no! However, today’s drug landscape is far more complex, with conflicting messages about alcohol, tobacco, opiates and marijuana coming from various sources. Recently, business magnate Richard Branson thrust this issue into the spotlight. How? 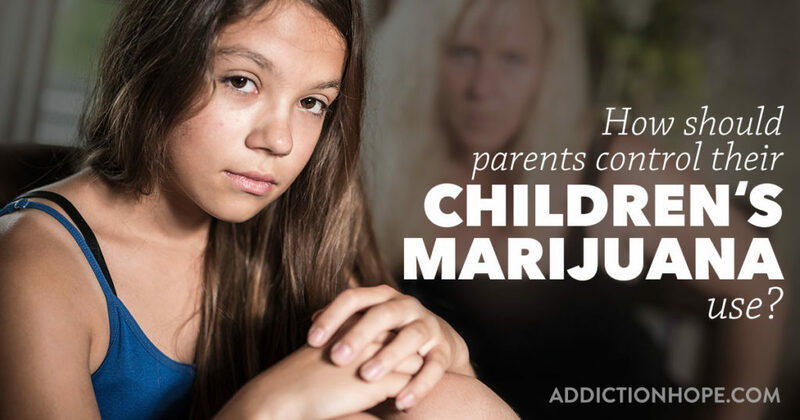 By stating that if kids are going to try marijuana, parents should “do it with them” at home rather than letting them try it somewhere unsupervised. You may have heard a similar philosophy applied to a teen’s first drink. So, is this good advice, or could it lead to some unintended problems? Among teenagers, the risk of alcohol, prescription medication or ADHD stimulant use is on the rise. Marijuana use is also increasing, but while most other substances have a terrible, dangerous reputation, pot is sometimes viewed as harmless or even beneficial. Marijuana is now legal in one form or another in several states. This legalization sends a message that cannabis is not as harmful of a drug as cocaine, heroin or PCP are. However, this does not mean that marijuana use does not have negative side effects. Because children seem to be surrounded by temptation to use one illicit substance or another, some parents think it’s best to allow curious teenagers to first try marijuana within the safety of their own homes. This is not advised with illegal drugs, of course, but in places where marijuana use is legal, this method might be considered a well-advised idea. Experts such as Dr. Donald Misch, medical director at the University of Colorado in Denver, encourage parents to be honest with their children when it comes to discussing their personal experiences with marijuana. Misch developed a series of lectures aimed at educating parents about permitting their children to smoke cannabis. He assures that teens who occasionally smoke a joint are at little risk of addiction or health complications. Misch encourages parents to guide children away from risky behaviors by communicating with them and maintaining contact, especially just before the weekend. Parents’ influence over their children’s decisions should continue even after the young ones leave for college. Because the results are mixed regarding marijuana use and the effects it may have on people, parents hold different opinions about their own children smoking weed. Some parents encourage the safe use of marijuana, while others allow marijuana use but do not encourage it. Others deny its use altogether. In rare cases, some parents even actively share joints with their legal-age children. Toni and Barry Fox of Salida, Colorado, never denied their own marijuana use when addressing the subject with their daughter, Cheyenne. However, they were strictly against her using any mind-altering substances until she was an adult. When caught smoking a cigarette at 16, her parents took Cheyenne’s car away for six months. When Cheyenne turned 18 and expressed an interest in smoking marijuana, her father allowed her to try a joint at home with proper supervision. The father rolled a joint and instructed Cheyenne to stay in the backyard of their home while she smoked her first marijuana cigarette. Cheyenne’s father even brought his daughter nachos an hour after she smoked the joint. The next day, Cheyenne’s mother and father helped her secure a card for medical marijuana. Cheyenne’s mother said she was happy to allow her daughter to smoke marijuana. She said she dealt with the pain of her father’s death with various illicit drugs before trying marijuana and discovering its “palliative effects.” Toni Fox now runs a recreational dispensary in Denver, and Cheyenne, now in her 20s, runs a second location. On the flip side of the Foxes’ parenting approach, Debbie McBride in New Jersey had a zero-tolerance policy for her children regarding drugs and alcohol. She began educating them about the harmful effects of such substances in middle school, and she placed an article on her fridge about the effects of marijuana. McBride feels that the debate over the legalization of marijuana and the tacit acceptance of teenage drinking prevalent in American culture makes it difficult to teach her children why they should avoid these substances. “It’s really hard to teach your kids the lesson that marijuana is bad for you when it’s legalized in other states,” she told The New York Times. Parents must continue having discussions such as these with their children for the foreseeable future. Until our country again reaches a unified viewpoint on marijuana (which may not happen), each family must make its own decisions and rules regarding marijuana use. Regardless, if you’re a parent of a child who seems to have a harmful relationship with marijuana, please know that there are treatment centers all over the country that can help your loved get back on track. Don’t delay in helping your child find proper treatment.